Please fill the form to download the brochure. Music Production Courses at Soundideaz is designed to help you become a successful Music Producer,Music Programmer, Music Arranger or Record Producer. Music Production Courses at Soundideaz has been created for this Exact Segment. The course is designed keeping practical application in mind. This Music production Course certification is a perfect base for the student to understand the fundamentals of Music Production.These fundamentals will create a solid base for launching your career in the music business. Students will be introduced to all major aspects of professional music production using the technology. In recent years the change in Music Production technology has been at a rapid pace. 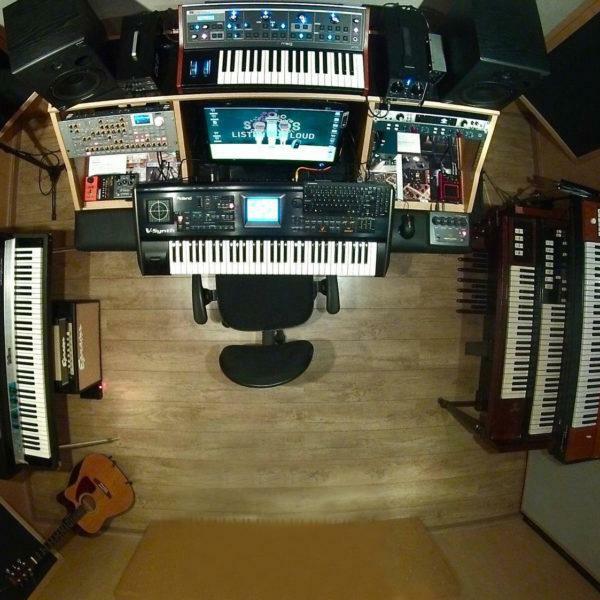 Music composers and musicians have the production technology on their laptop & desktops. Workstations like Logic, Abelton & Pro – tools have enabled the musician to produce their own tracks without hiring any musician. Musicians who have concepts to create music can now create their own music independently. But at the same time creating music on their own just with the tools is not enough, one needs to be trained in the concept of Music production,understanding genres, types of musical sounds and types of beats.Therefore we have the Best Faculties for our student who are professionals and Believe in Sharing their Knowledge with our students to Guides them in every stage of their Musical Career.